30 years ago Steve Jobs unveiled the first Apple Macintosh computer with charisma that was ahead of its time. 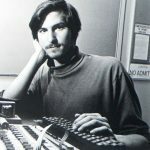 Arguably part of the success that came with the launch of the product, along with the rest of Apple’s inventions, was due to the unique charisma Jobs possessed as a leader. This link shows a video of that fascinating presentation.